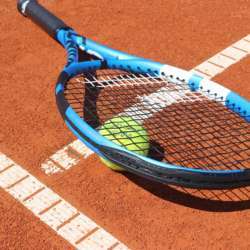 You must be a member of the Amsterdam Lets play Tennis Group to attend this activity. Would you like to join this group? Who would like to play tennis? and probably go for a drink afterwards. Level: advanced beginner to medium (hobby) level. We play on an indoor court. When you sign up you will pay. I will reserve the number of courts according to how many people sign up, so SIGNING UP = PAYING. You pay when we meet at the court. Please come a few minutes before, so we start sharp on time. Looking forward to meet you for a game!